Most people don’t know that the first Thanksgiving was celebrated in Chicago in 1608 when a large group of Cub’s fans and an equally large number of White Sox fans got tired of insulting each other and sat down to a meal of hot dogs and Italian beef. The reason most people don’t know about this is because it’s utter nonsense, but it would be interesting and funny if true. We do know (thanks to Wikipedia) that as slip-on garments without buttons, the earliest T-shirt dates back to sometime between the 1898 Spanish–American War and 1913, when the U.S. Navy began issuing them as undergarments. These were a crew-necked, short-sleeved, white cotton undershirt to be worn under a uniform. 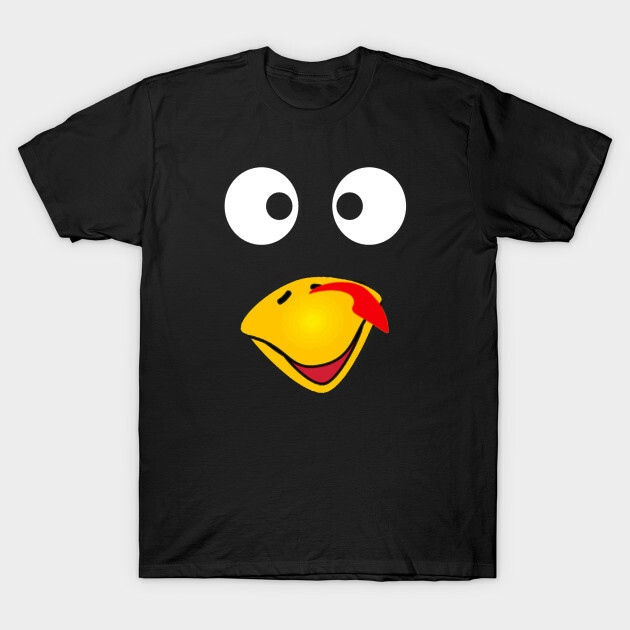 We also know that proper protocol for any successful Thanksgiving feast calls for people to wear T-Shirts with big stupid-looking turkeys on them. We have been making all kinds of fun Thanksgiving T-Shirts since 1976 for people all over the greater Chicago area and we’re still doing it today. Do you have an idea for a great Thanksgiving T-Shirt? Email us at info@shirtworks.biz and we’ll make it happen.